To register, click on http://myaccount.rid.org – and then click on the meetings tab to register. If you have problems registering, please contact registration@rid.org. If you have general conference questions, contact conference@rid.org. 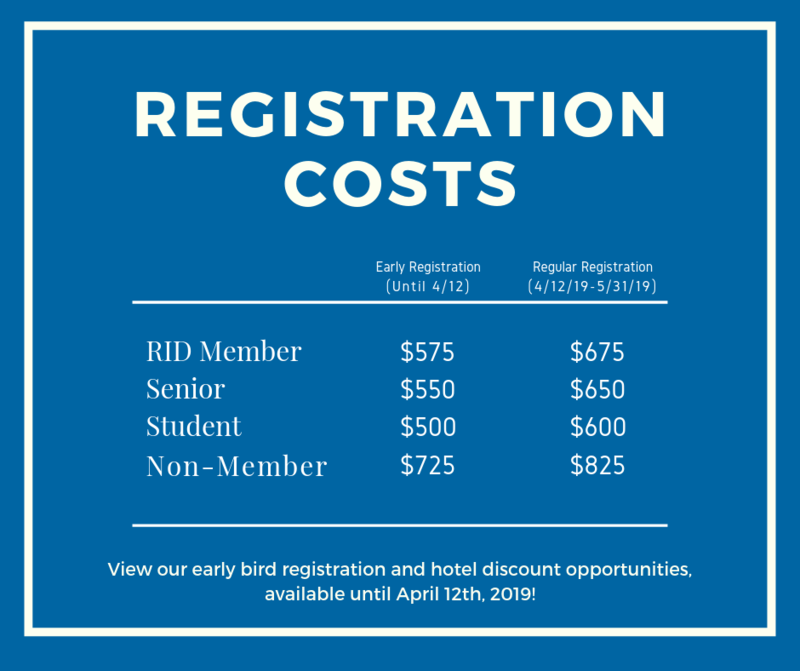 If you may need to cancel your conference registration, you may do so by contacting registration@rid.org prior to June 15, 2019. There is a $75 cancellation fee for all cancellations. No refunds for cancellations made after June 15, 2019. Extra Banquet tickets purchased as part of one’s registration may be refunded IN FULL prior to June 15, 2019. No refunds will be issued after this date. 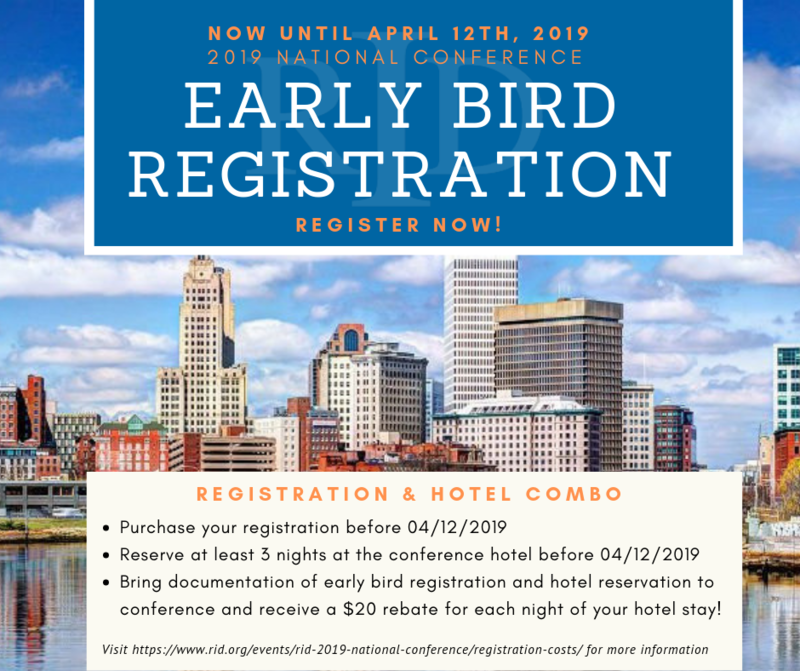 Early Bird Registration + Hotel Discount! call 402-952-6646 and reference the “Registry of Interpreters for the Deaf Room Block”.